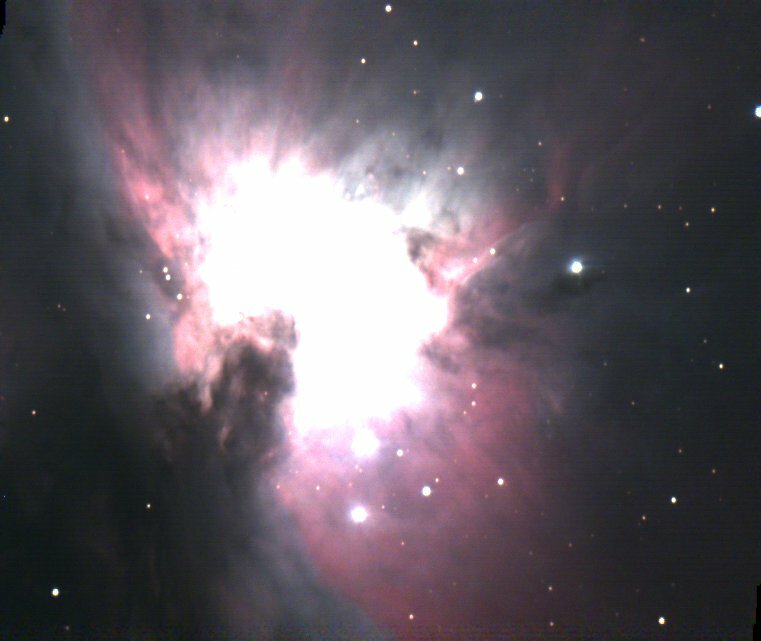 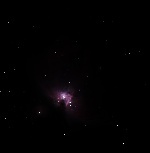 This is another attempt at the Orion Nebula, using the new camera. 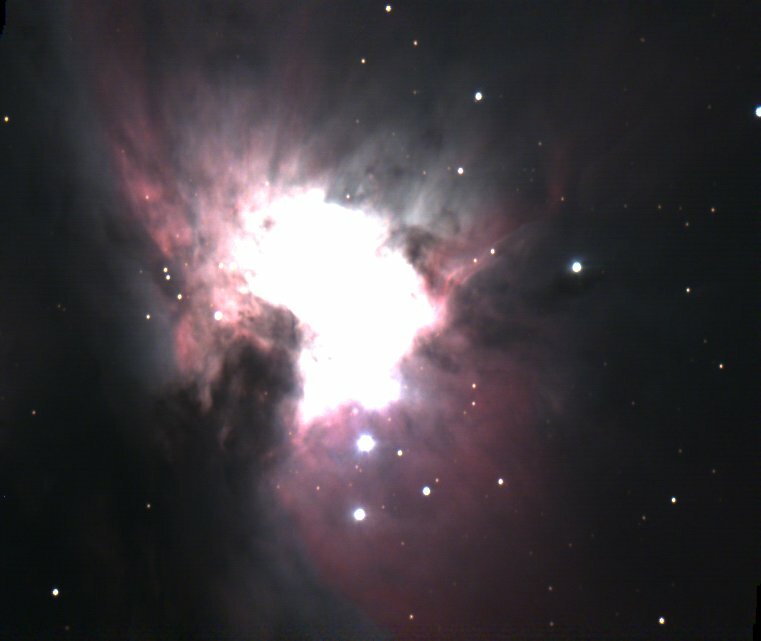 Compared with the previous image, the focus is not as good, but a much larger area of the nebula is visible due to the larger sensor area and deeper exposure. 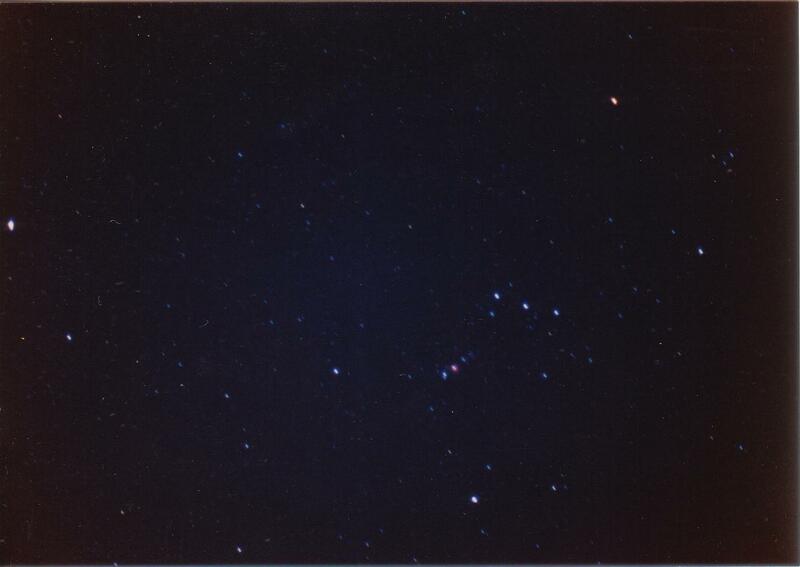 This color photograph of Orion was obtained by pointing a 35mm camera directly at the sky. 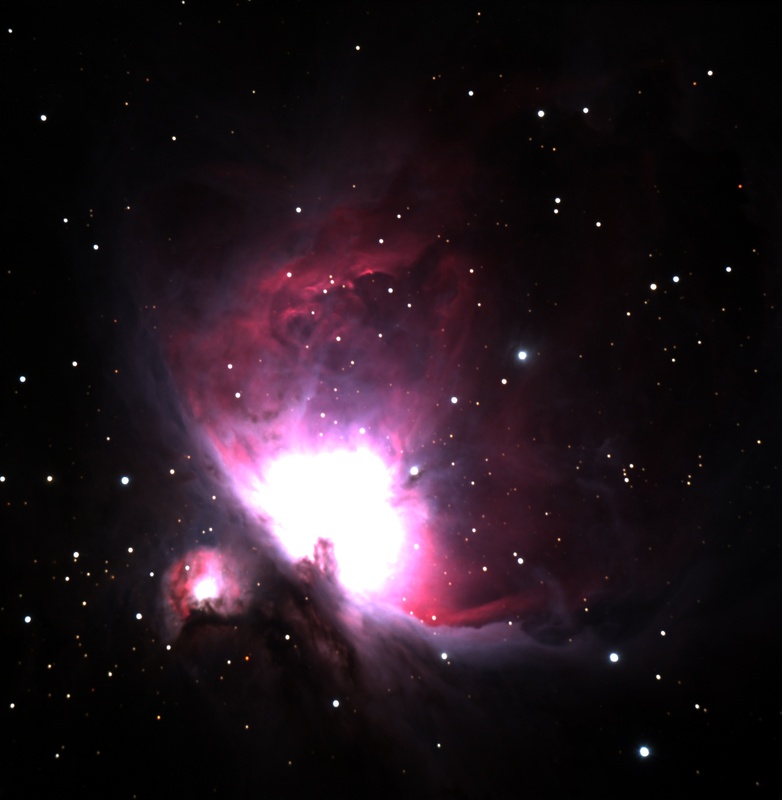 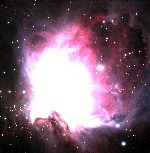 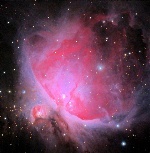 The pink color of the Orion Nebula can be seen.